Google recently has released new updates algo of Page Rank on 2nd August, 2012 and its updates is available after a time gap of 3 months. 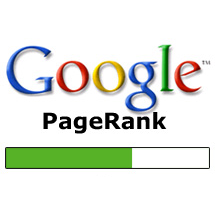 I am writing here details about new Google page rank update. Read this article to get a complete information about the importance of PR, some tips to increase PR etc. Google has updated the Page Rank algo on August 2, 2012. The last update has been made on 3rd May and before of that on 6th February this year. So it is seen that the time period of updating PR algo goes in a constatnt way i.e. a time period of every 3 months and also expected that the last update of this year will be available on first week of November, 2012. This time it is seemed that current PR update is very important for webmasters. Google Page Rank(PR) is a numerical value measures from 0-10 which measures about the importance of your website/blog in search engine. If your webpage has higher PR then it is crawled faster than that of a lower PR webpage. Let me give an example to clear your doubt. Suppose, you have a webpage which has a PR of 5 and the PR of your competitor's website is 4. Now as your webpage has a higher PR, therefore your webpage is crawled many times than your competitor's webpage. So the faster your websites crawls the more organic traffics are generated to your website from Google. What is the importance of Page Rank? Not increasing PR of your website? 1) Post articles as a guest author in 5-6 blogs whose PR is greater that 3. 2) Write articles containing atleast 600-700 words. 3) Contents should have a good quality and blog must have atleast 30-35 articles. 4) Your website/blog should be well designed so that it attracts the readers' attention. 5) Add some related images and videos to each post to make it more clear to the readers. Important: To make your articles of 600-700 words, don't write unnecessary words forgetting about your main topic. Your article may contain less than above-said words, no problem. But your article should be up to the points, sound and complete. If you like this article please give your comments in the following box. I was not a big fan of link building SEO practices but I got carried away by the advises of the experts in many SEO groups at Facebook. Read my bad experience on Link Building, probably will help you avoid some of the practices I followed. Google recently announced the new EMD update which discounts the low quality exact match domains. Read our experience and explore the possibilities of avoiding such penalties in future. Learn how blog commenting can affect your search engine ranking and potentially get penalised. Many recent Google algorithm updates point to the direction that your blog could be penalised for blog commenting.